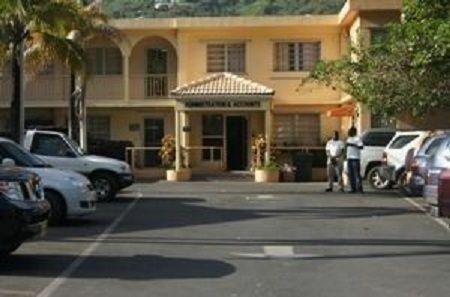 ROAD TOWN, Tortola, VI – There are reports of technical workers of the BVI Electricity Corporation (BVIEC) seeking to have the company pay their portion of contributions to the National Health Insurance (NHI) scheme as it is reported that because of the hazardous nature of their job they want to be considered as high risk employees. 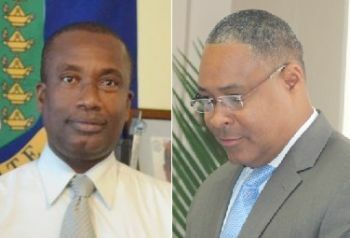 However, up to post time today October 20, 2015, a petition which was supposedly being circulated among the workers for their signature has not made it to the desk of General Manager Leroy A. E. Abraham as confirmed minutes ago by his personal assistant. "We the employees of the BVI Electricity Corporation are concerned as to why we are being made to pay the 3.75 percent from our salary towards the National Health Insurance (NHI) scheme; which will be in effect January 1, 2016. Whereas, presently the corporation is paying in full, our entire health insurance premium plan. While we are a statutory body, an argument can be made that the corporation would fall under this category. Many of us have to work in high risk environment to provide a service that is critical to the infrastructure of the BVI. It should be mentioned that Social Security Board and Financial Service Commission are also statuary bodies and will be paying the entire 7 percent NHI contributions for their employees. While the figure is not available to us, we are confident that it would not be too much of an added expense to the corporation to continue to pay for our insurance. This would allow the valued employees to feel appreciated for the critical service they provide the entire Territory of the British Virgin Islands. Due to the high risk involved in our day to day work, the life insurance is added benefit to the families of the staff of corporation, in the event any BVIEC staff suffers any terminal injury on the job. Similarly, what would be the outcome of the employees that are paying the extra fees for an increased life insurance policy?" When this news site finally made contact with Abraham, he said that he was unaware of any petition by the corporation’s workers. “Another news site called me this morning asking about it. But I am unaware of any petition. I’m not privy to the information,” he said. According to information reaching our newsroom, the workers are pressing the corporation to pay the entire 7.5 percent of their contribution to the NHI, thereby exempting them from the payment of half of that. The reports indicate that they want their duties to be compared to those of policemen and other categories of Government workers, for whom it is said that their contributions will be fully paid as they are considered at risk. These workers are said to be from the corporation’s Distribution Unit and constitute linesmen and other technical workers of the corporation. Speaking to this news site, Chairman of the NHI Board Roy N. Barry said the issue of the petition calling for the BVIEC to foot the 3.75 percent on behalf of the employees is a matter for the corporation and had nothing to do with the NHI Board. “We have nothing to do with that. That is between them and the employer,” he said. Asked what the official policy is with regard to high risk workers, he said that the determination as to whether a job is high risk is up to the employer. Just last Tuesday October 13, 2015, the NHI Concerned Citizens and Residents Group handed over their petition calling for the NHI to be taken back to the drawing board to Premier Dr The Honourable D. Orlando Smith. If government is making it mandatory for everybody to pay NHI then why are they paying the full amount for some of their employees. Isn't there a tax implication for this? Employers paying the entire health insurance is actually a benefit to the employee. Please go back to school. Your future is at risk. I stopped reading Ghost from the middle of the second line. Time for the workers of the world to unite. Unity is strength. Divided we are small but united we are strong. Let us unite behind the BVIEC workers and demand fair and just treatment. Equality and choice are fundamental rights of all citizens. Why was this breaking news on the ndp site? Hmm yall moo moo sah!!! So since BVIEC wants the company to pay ALL the Contributions, Then its fair to say that The Company have NO obligations to pay your sick outs or medic bills --- because Heyy, BVIEC is not sick --- YOU ARE !!!! Yall proposition will be like a Prenup -- What u put in, is what you'll get out !!! Think about what you truely fighting for !!! I am disturbed to see that this lady and Ronnie do not see it fit too include the employees at Solid Waste to the list of Government employees who should be viewed as high risk workers. They should both be sent to work at the incinerator for a day. If bviec employees pay half L and M will have more money to thief.how much was the 3 rolls royce engines sold for? Only two of them knows. The desk jobs at FSC are high risk? Police too have high risk jobs!